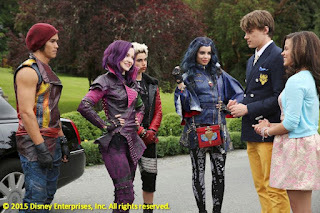 Disney's Descendants was a huge hit on the Disney Channel last Friday, attracting over six million viewers. But, was it any good? 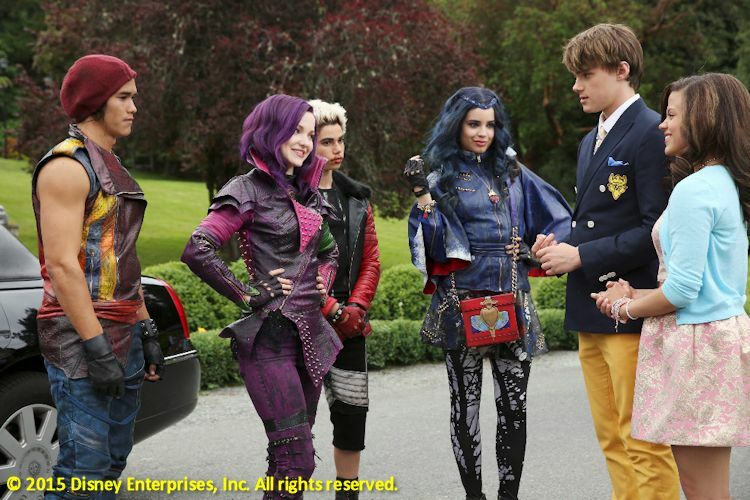 I vote no, but then I'm not in the movie's age 9-14 demographic. Still, it's hard to like a film with a dumbed-down story that turns the most evil of Disney's animated villains into buffoons and then adds a rap sequence to "Be Our Guest." Is Star Wars coming to Netflix? All the signs point to yes. We're hearing as many as three new series from Lucasfilm could be in development for the online entertainment service. Rumors abound about who will make up the supporting cast of Marvel's Spider-Man movie in 2017. It could just be wishful thinking, but we'll play along for now. Robert Downey, Jr. returning as Tony Stark, Hugh Laurie as J. Jonah Jameson, Forest Whitaker as Robbie Robertson, Billy Zane as the Vulture, Jason Biggs as Scorpion, Miranda Cosgrove as Betty Brant. We're on board for all of them if the rumors are true. Josh Gad has wrapped up shooting on Disney's live-action version of Beauty and the Beast. He's playing LeFou, sidekick to Luke Evans' Gaston. We're going to miss Gad's social media dispatches from the set. What's the deal with Bob the Musical and why are so many big names attached to the project? The Hollywood Reporter says Pulitzer Prize-winning author Michael Chabon (The Amazing Adventures of Kavalier & Clay) is working on the script for Oscar-winning director Michel Hazanavicius (The Artist). Meanwhile, Oscar-winning songwriter Bret McKenzie ("Man or Muppet") will pen the songs for the film about a man who can hear the inner music in everyone's heart. Oh, and did we mention Tom Cruise might star in it too? The Collected Works of Hayao Miyazaki. Animation fans, especially fans of the great Hayao Miyazaki, are going to love the new Blu-ray box set from Disney and Studio Ghibli. 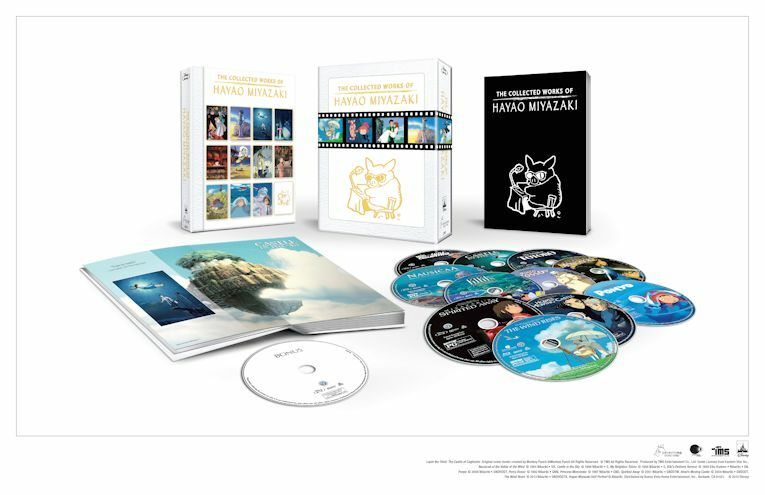 The Collected Works of Hayao Miyazaki will include all 11 of the master's animated classics including Spirited Away, Howl's Moving Castle and The Wind Rises. It will be available only on Amazon.com and will be released on November 17th. In 1966, Walt Disney donated the Midget Autopia attraction at Disneyland to his boyhood home of Marceline, MO, the only time a Disney attraction was ever moved to a non-Disney location. The Midget Autopia stopped operating in the late 1970s, but now the Walt Disney Hometown Museum in Marceline has launched a Kickstarter campaign to fully restore the cars and track. You can help by visiting www.bringbackautopia.com. Going to the D23 Expo this month? Download the app that will help you navigate the crowds and presentations at the epic Disney fan event. Get it for free now on Apple iOS and Android. We don't know a lot about what will replace Luigi's Flying Tires at Disney California Adventure, but now we have a name for it: Luigi's Rollickin' Roadsters.